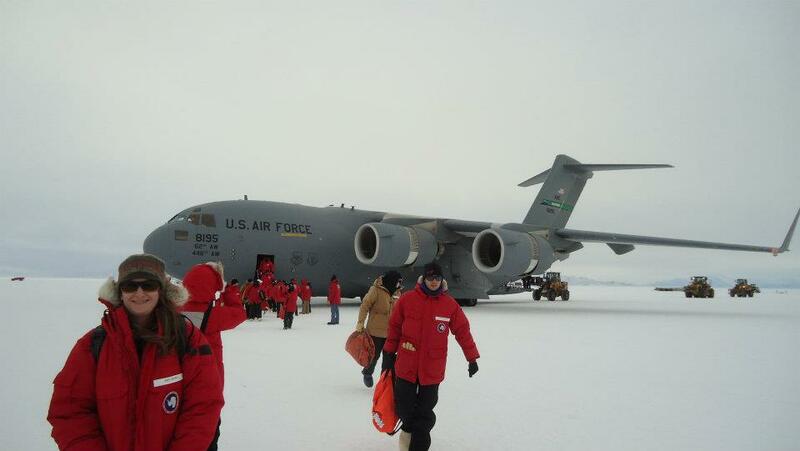 October 2011 | Arrival of the first C-17 of the summer season at McMurdo Station. 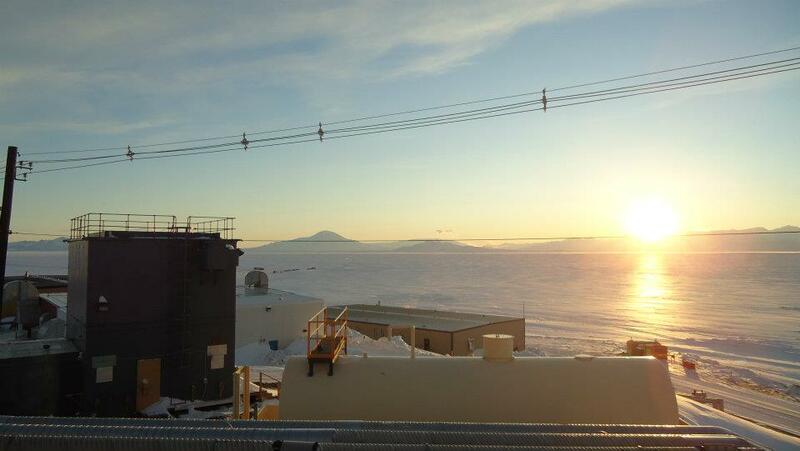 Nearly 1,200 contractors and scientists work and live on the continent’s largest base for four months during the Austral summer. January 2012 | Winter Quarters Bay, the southernmost port in the world. Its use as a natural harbour dates back to Capt. Scott’s Discover Expedition in 1901. 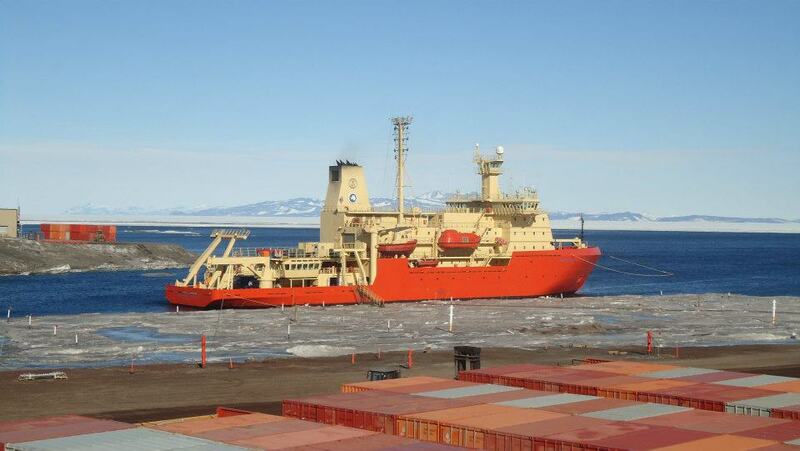 Today, it serves as the docking point for critical resupply ships, as well as the Nathanial B. Palmer (pictured), a research ice breaker chartered by the National Science Foundation. 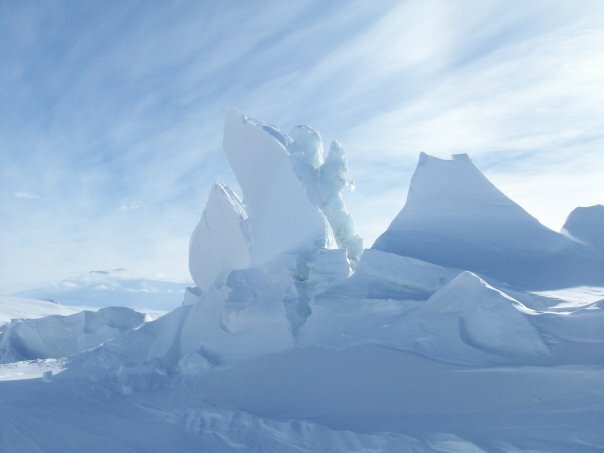 November 2011 | While the newest technologies are helping scientists better understand Antarctica, remnants of the past still dot the continent. 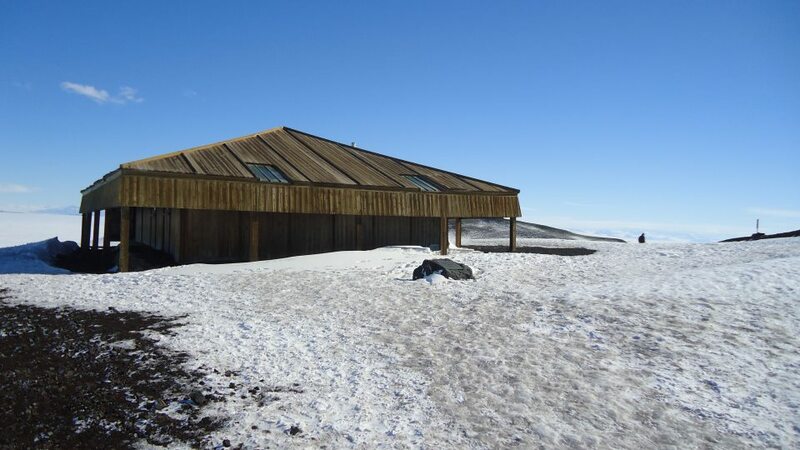 Discovery Hut (also known as Scott’s Hut) at the northern edge of McMurdo Station offers a glimpse into the Age of Discovery. The hut was built by Capt. Robert Falcon Scott in 1902 during his Discover Expedition. October 2011 | A view unchanged for 30 years. Old military buildings and dangling wires show the effects of human interaction with the frozen continent. The Chapel of the Snows shows a promise of civility and obedience by the residents. 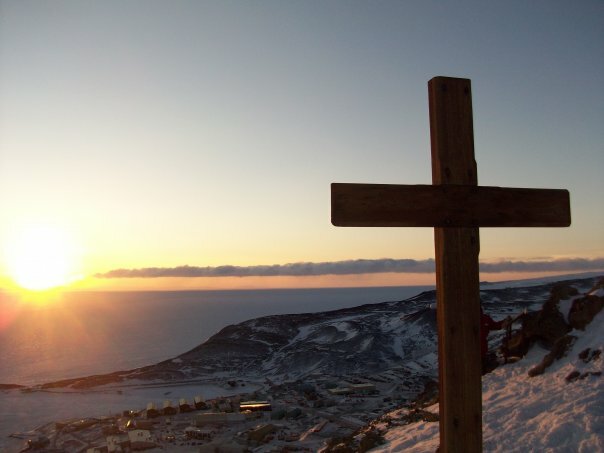 October 2009 | Around McMurdo Station, the Ross Ice shelf and annual sea ice dominate the landscape for much of the year. The ice is constantly moving, and when the two combine, they thrust up into magnificent sculptures, causing a line of pressure ridges roughly a mile long. 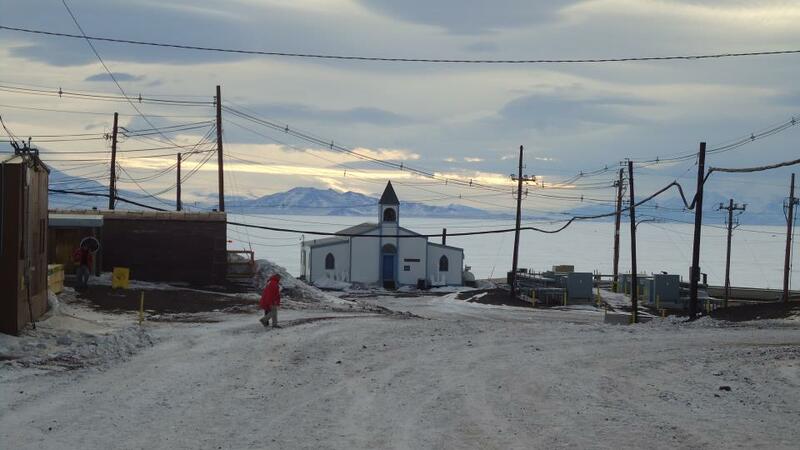 November 2011 | Residents of Mcmurdo Station find many ways to express themselves. 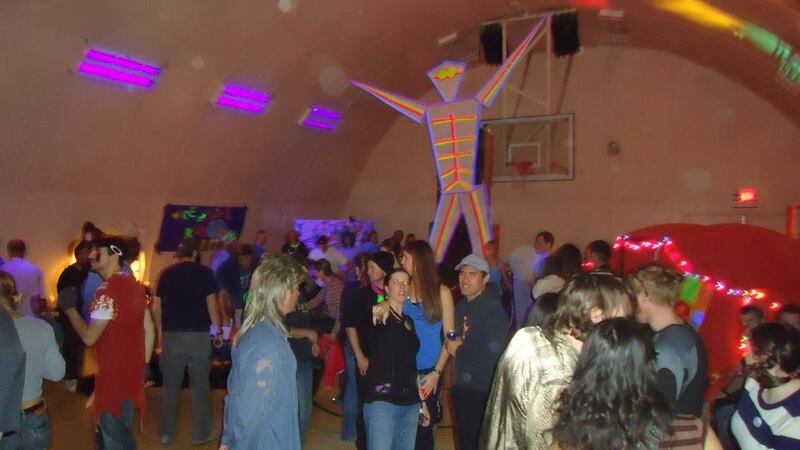 Freezing man is just one of many themed parties organized by residents on their off time. 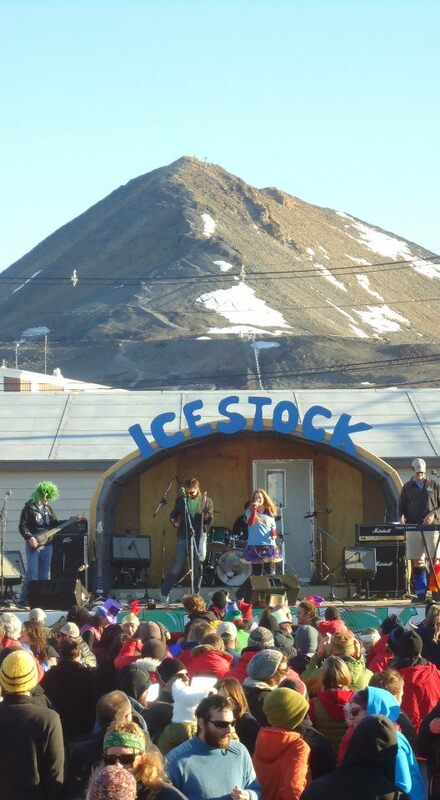 January 2012 | While ringing in the new year, residents of McMurdo Station enjoy the sounds of several bands that form during the year. Ice Stock is the premier event of the summer season, and harkens in the last few weeks people have left on the station. October 2011 | The end of October brings with it the end of darkness. For the next four months, the sun will continuously roam around the sky 24 hours a day. Zachary Morgan hails from the aptly named town of Normal, Illinois. He earned his culinary degree from Robert Morris University in Chicago, Illinois in 2009, and has spent two seasons in the antarctic, including one winter season. He is currently in his second season as a cook in Alaska near Denali National Park, and finds isolated, remote places the best way to find himself on a crowded, charted world.